Abril S, Oliveras J, Gomez C 2007. Foraging activity and dietary spectrum of the Argentine ant (Hymenoptera: Formicidae) in invaded natural areas of the Northeast Iberian Peninsula. Environmental Entomology 36: 1166–1173. Bolger DT, Suarez AV, Crooks KR, Morrison SA, Case TJ 2000. Arthropods in urban habitat fragments in southern California: Area, age, and edge effects. Ecological Applications 10: 1230–1248. Bond WJ, Slingsby P 1984. Collapse of an ant-plant mutualism: the Argentine ant (Iridomyrex humilis) and myrmecochorous Proteaceae. Ecology 65: 1031–1037. Buys B 1987. Competition for nectar between Argentine ants (Iridomyrmex humilis) and honeybees (Apis mellifera) on black ironbark (Eucalyptus sideroxylon). South African Journal of Zoology 22: 173–174. Chang V, Ota AK 1990. Ant control in Hawaiian drip irrigation systems. In: Vander Meer RK, Jaffe K, Cedeno A eds Applied myrmecology – a world perspective. Boulder, CO, Westview Press. Pp. 708–715. Charles JG, Verberne H, Conolly P, Dentener PR, Froud KJ, Allan DJ, Suckling DM 2003. The distribution of Argentine ants in New Zealand: Can a ten-year old decision not to eradicate be re-visited? In: Goldson SL, Suckling DM eds Defending the green oasis: New Zealand biosecurity and science. Proceedings of a New Zealand Plant Protection Society Symposium, Centra Hotel, Rotorua, 12 August 2002. Christchurch, New Zealand Plant Protection Society. Pp. 109–124. Cole FR, Medeiros AC, Loope LL, Zuehlke WW 1992. Effects of the Argentine ant on arthropod fauna of Hawaiian high-elevation shrubland. Ecology 73: 1313–1322. Corin SE, Abbott KL, Ritchie PA, Lester PJ 2007a. Large scale unicoloniality: the population and colony structure of the invasive Argentine ant (Linepithema humile) in New Zealand. Insectes Sociaux 54: 275–282. Corin SE, Lester PJ, Abbott KL, Ritchie PA 2007b. Inferring historical introduction pathways with mitochondrial DNA: the case of introduced Argentine ants (Linepithema humile) into New Zealand. Diversity and Distributions 13: 510–518. Davis P, Van Schagen J 1993. Effective control of pest ants. Journal of Agriculture, Western Australia 34: 92–95. El-Hamalawi ZA, Menge JA 1996. The role of snails and ants in transmitting the avocado stem canker pathogen, Phytophthora citricola. Journal of the American Society for Horticultural Science 121: 973–977. Fuentes ER 1991. Central Chile: how do introduced plants and animals fit into the landscape? Biogeography of Mediterranean Invasions. Cambridge, Cambridge University Press. Pp 43–49. Giliomee JH 1986. Seed dispersal by ants in the Cape flora threatened by Iridomyrmex humilis (Hymenoptera: Formicidae). Entomologia Generalis 11: 217–219. Green OR 1990. Entomologist sets new record at Mt Smart for Iridomyrmex humilis established in New Zealand. Weta 13: 14–16. Harris RJ, Barker G 2007. Relative risk of invasive ants (Hymenoptera: Formicidae) establishing in New Zealand. New Zealand Journal of Zoology 34: 161–178. Harris R, Ward D, Sutherland MA 2002. A survey of the current distribution of Argentine ants, Linepithema humile, in native habitats in New Zealand, and assessment of future risk of establishment. Unpublished Landcare Research Contract Report LC0102/105 to Ministry of Agriculture and Forestry, Biosecurity Authority. Hartley S, Lester P 2003. Temperature-dependent development of the Argentine ant, Linepithema humile (Mayr) (Hymenoptera: Formicidae): a degree-day model with implications for range limits in New Zealand. New Zealand Entomologist 26: 91–100. Hartley S, Lester PJ, Harris RJ 2006. Quantifying the uncertainty in the potential distribution of an invasive species: climate and the Argentine ant. Ecology Letters 9: 1068–1079. Hedges SA 1998. Field guide for the management of structure-invading ants. Cleveland, OH, Franzak and Foster. Hee JJ, Holway DA, Suarez AV, Case TJ 2000. Role of propagule size in the success of incipient colonies of the invasive Argentine ant. Conservation Biology 14: 559–563. Holway DA 1995. Distribution of the Argentine ant (Linepithema humile) in northern California. Conservation Biology 9: 1634–1637. Holway DA 1998. Factors governing rate of invasion: a natural experiment using Argentine ants. Oecologia 115: 206–212. Holway DA 1999. Competitive mechanisms underlying the displacement of native ants by the invasive Argentine ant. Ecology 80: 238–251. Holway DA, Lach L, Suarez AV, Tsutsui ND, Case TJ 2002. The causes and consequences of ant invasions. Annual Review Ecology and Systematics 33: 181–233. Human KG, Gordon DM 1997. Effects of argentine ants on invertebrate biodiversity in Northern California. Conservation Biology 11: 1242–1248. Human KG, Weiss S, Weiss A, Sandler B, Gordon DM 1998. Effects of abiotic factors on the distribution and activity of the invasive Argentine ant (Hymenoptera, Formicidae). Environmental Entomology 27: 822–833. Krushelnycky PD, Loope LL, Reimer NJ 2005. The ecology, policy and management of ants in Hawaii. Proceedings of the Hawaiian Entomological Society 37: 1–25. Lester PJ 2005. Determinants for the successful establishment of exotic ants in New Zealand. Diversity and Distributions 11: 279–288. Lester P, Baring CW, Longson CG, Hartley S 2003. Argentine and other ants (Hymenoptera: Formicidae) in New Zealand horticultural ecosystems: distribution, hemipteran hosts, and review. New Zealand Entomologist 26: 79–89. Markin GP 1970. 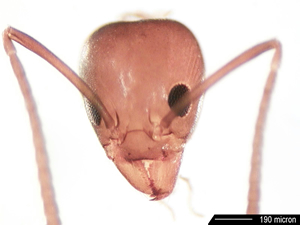 Food distribution within laboratory colonies of the Argentine ant, Iridomyrmex humilis (Mayr). Insectes Sociaux 17: 127–158. Ministry of Agriculture and Forestry 2002. The potential economic impacts of the Argentine ant in New Zealand: Treatment expenditure. Unpublished discussion document. Morrison LW 1997. Polynesian ant (Hymenoptera, Formicidae) species richness and distribution – a regional survey. Acta Oecologica 18: 685–695. Murphy BD 2004. A methodology for high risk site surveillance. MAF Forest Biosecurity Report. Osborne B 1998. Argentine ant survey of the Mount Maunganui/Arataki area, Bay of Plenty. Unpublished Environment Bay of Plenty report. Passera L 1993. Characteristics of tramp species. In: Williams DF ed. Exotic ants: Biology, impact, and control of introduced species. Boulder, CO, Westview Press. Pp. 23–43. Phillips P 1986. Field trials show effective control of Argentine ants. California Grower 10: 16–17. Reimer NJ 1993. Distribution and impact of alien ants in vulnerable Hawaiian Ecosystems. In: Williams DF ed. Exotic ants: Biology, impact, and control of introduced species. Boulder, CO, Westview Press. Pp. 11–22. Roura-Pascual N, Suarez AV, McNyset K, Gómez C, Pons P, Touyama Y, Wild AL, Gascon F, Townsend Peterson A 2006. Niche differentiation and fine-scale projections for Argentine ants based on remotely sensed data. Ecological Applications 16: 1832–1841. Roura-Pascual N, Hui C, Ikeda T, Leday G, Richardson DM, Carpintero S, Espadaler X, Gómez C, Guénard B, Hartley S, Krushelnycky P, Lester PJ, McGeoch MA, Menke S, Pedersen J, Pitt J, Reyes J, Sanders NJ, Suarez AV, Touyama Y, Ward DF, Ward P, Worner SP 2011. The relative roles of climatic suitability and anthropogenic influence in determining the pattern of spread in a global invader. Proceedings of the National Academy of Sciences (USA) 108 (1): 220–225. Rowles AD, O'Dowd DJ 2007. Interference competition by Argentine ants displace native ants: implications for biotic resistance to invasion. Biological Invasions 9: 73–85. Sanders NJ, Gotelli NJ, Heller NE, Gordon DM 2003. Community disassembly by an invasive ant species. Proceedings of the National Academy of Sciences (USA) 100: 2474–2477. Silverman J, Brightwell RJ 2008. The Argentine ant: challenges in managing an invasive unicolonial pest. Annual Review of Entomology 53: 231–252. Stanley MC, Ward DF, Harris RJ, Arnold G, Toft R, Rees J 2008. Optimising pitfall sampling for the detection of Argentine ants, Linepithema humile (Hymenoptera: Formicidae). Sociobiology 51: 461–472. Suarez AV, Bolger DT, Case TJ 1998. Effects of fragmentation and invasion on native ant communities in coastal southern California. Ecology 79: 2041–2056. Suarez AV, Richmond JQ, Case TJ 2000. Prey selection in horned lizards following the invasion of Argentine ants in southern California. Ecological Applications 10: 711–725. Suarez AV, Holway DA, Case TJ 2001. Patterns of spread in biological invasions dominated by long- distance jump dispersal: insights from Argentine ants. Proceedings of the National Academy of Sciences (USA) 98: 1095–1100. Suarez AV, Holway DA, Ward PS 2005. The role of opportunity in the unintentional introduction of non-native species. Proceedings of the National Academy of Sciences (USA) 102: 17032–17035. Toft R 2011. Trials of spring baiting for controlling Argentine ants. Unpublished report for Tamsan District Council. Landcare Research Envirolink Project TSDC71. Van Schagen JJ, Davis PR, Widmer MA 1993. Ant pests of Western Australia, with particular reference to the Argentine ant (Linepithema humile). In: Williams DF ed. Exotic ants: Biology, impact, and control of introduced species. Boulder, CO, Westview Press. Pp. 174–180. Vega SJ, Rust MK 2001. The Argentine ant: a significant invasive species in agricultural urban and natural environments. Sociobiology 37: 3–25. Visser D, Wright MG, Giliomee JH 1996. The effect of the Argentine ant, Linepithema humile (Mayr) (Hymenoptera, Formicidae), on flower-visiting insects of Protea nitida Mill (Proteaceae). African Entomology 4: 285–287. Ward PS 1987. Distribution of the introduced Argentine ant (Iridomyrmex humilis) in natural habitats of the lower Sacramento valley and its effects on the indigenous ant fauna. Hilgardia 55: 1–16. Ward DF 2006. Prioritised surveillance for invasive ant species in Northland. Landcare Research Contract Report LC0607/044. Northland Regional Council Envirolink Project NLRC18. Ward DF 2007. Ecological risk assessment of exotic ant species in the Tasman region. Landcare Research Contract Report LC0607/137. Tasman District Council Envirolink Project TSDC18. Ward DF 2009. Potential social, economic and biodiversity impacts of the Argentine ant, Linepithema humile, in the Hawke's Bay region. Landcare Research Contract Report LC0809/087. Hawke's Bay Regional Council Envirolink Project 700HBRC93. Ward DF, Harris R, Stanley MC 2005. Human-mediated range expansion of Argentine ants in New Zealand. Sociobiology 45: 401–408. Ward DF, Beggs JR, Clout MN, Harris RJ, O’Connor S 2006. The diversity and origin of exotic ants arriving to New Zealand via human-mediated dispersal. Diversity & Distributions 12: 601–609. Ward DF, Harris RJ, Hartley S, Lester PJ, Stanley MC, Suckling DM, Toft RJ 2010. Twenty years of Argentine ants in New Zealand: past research and future priorities for applied management. New Zealand Entomologist 33: 67–78. Way MJ, Cammell ME, Paiva MR, Collingwood CA 1997. Distribution and dynamics of the Argentine ant Linepithema (Iridomyrmex) humile (Mayr) in relation to vegetation, soil conditions, topography and native competitor ants in Portugal. Insectes Sociaux 44: 415–433. Wetterer JK 1998. Nonindigenous ants associated with geothermal and human disturbance in Hawaii Volcanoes National Park. Pacific Science 52: 40–50. Wild AL 2004. Taxonomy and distribution of the Argentine Ant, Linepithema humile (Hymenoptera: Formicidae). Annals of the Entomological Society of America 97: 1204–1215.